dry air is always available, regardless of conditions. from the incoming air stream, ensuring safe engine operation even during the most torrential storms. The Safari Charge Air Ram can also be rotated to face away from any prevailing conditions. Sold throughout Australia and exported around the world, Safari snorkels are renowned and trusted by 4WDers everywhere. 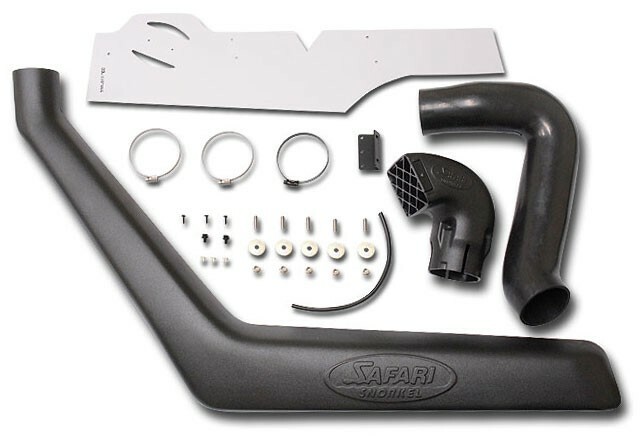 Install one before your next trip and breathe easier knowing that your engine is protected by a Safari snorkel.